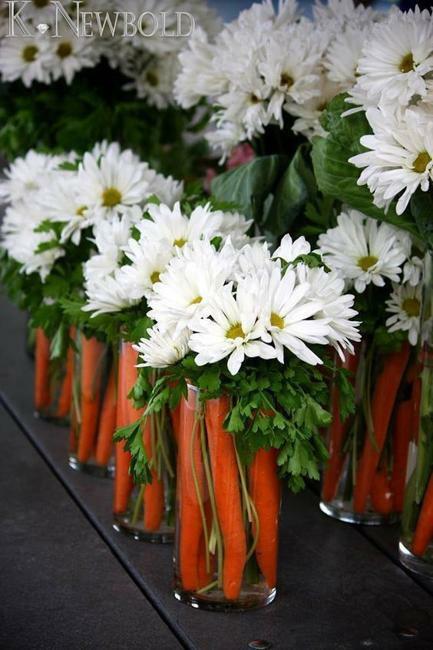 Edible flower arrangements make stunning table centerpieces which are gaining in popularity. 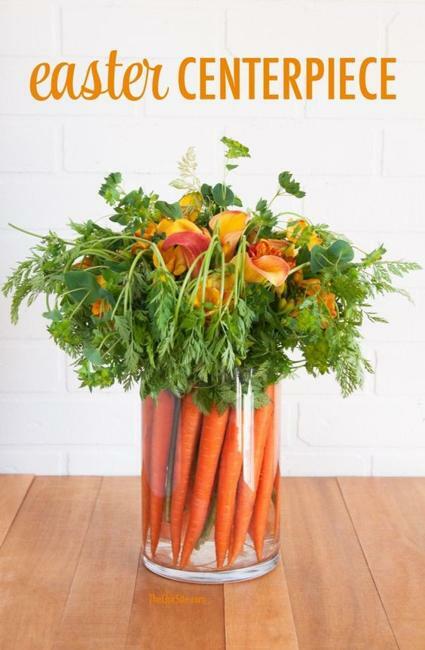 Vegetables and fruits in glass vases are acceptable alternatives to traditional centerpiece ideas gifts. 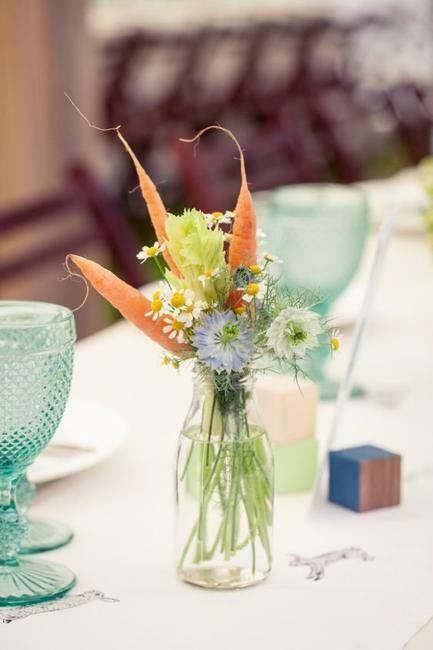 Vibrant carrots and beautiful flower arrangements are perfect for Easter and other spring occasions, but they make bright and original table decorations for an everyday setting. 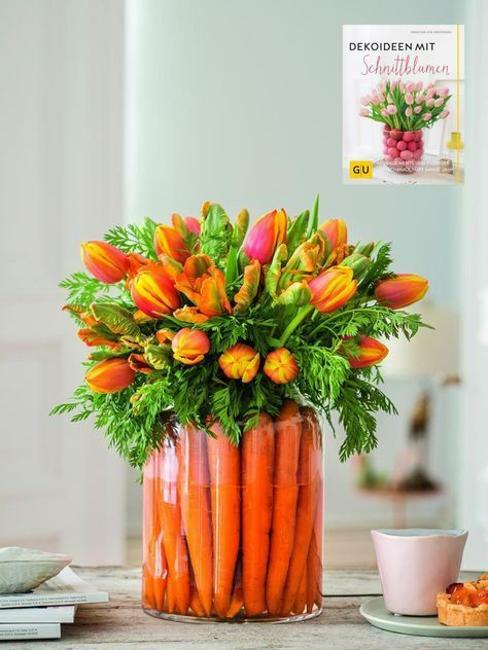 Fruits, vegetables, candies, cookies combine beautifully with fresh flowers. 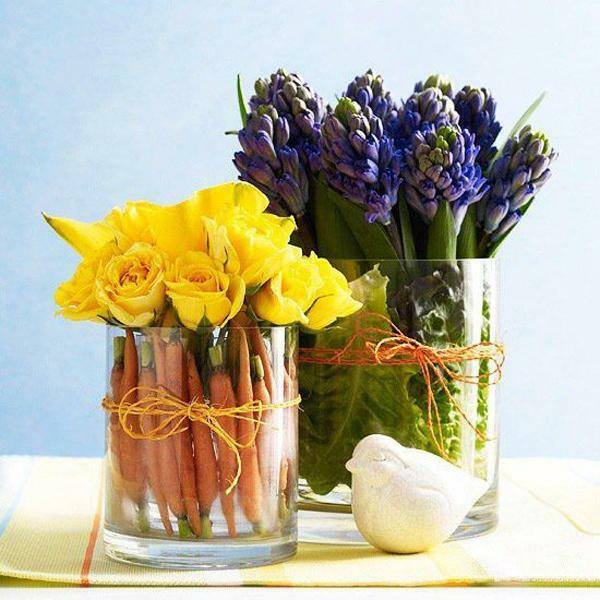 A glass bowl, container, vase are perfect for holding your colorful creation. 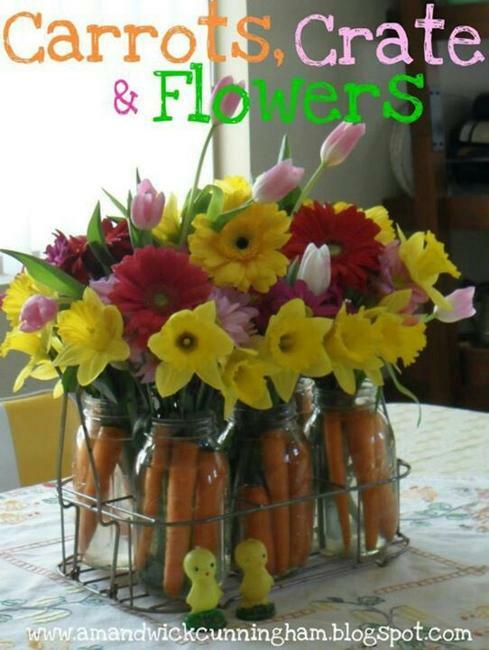 Nuts, fruits, seeds, vegetables offer many attractive options for decorating glass vases with beautiful flowers. 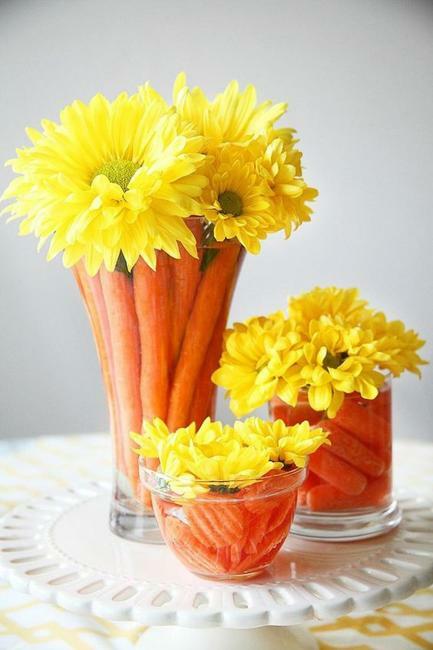 Also, edible decorations, like melon scoops or strawberries, create unique accents for table centerpiece with flowers. 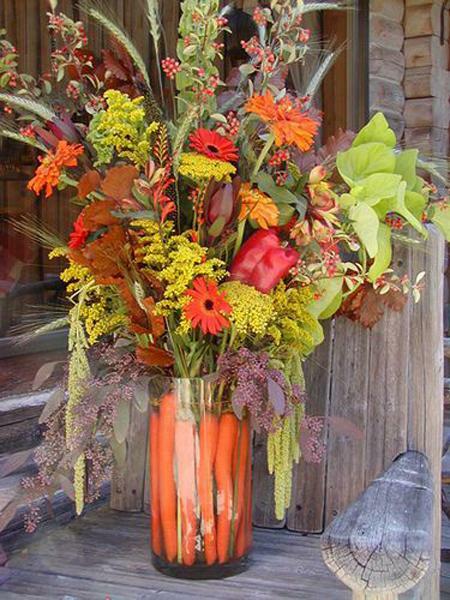 Carrots are ideal for creative designs if you want to mix and match textures and colors. 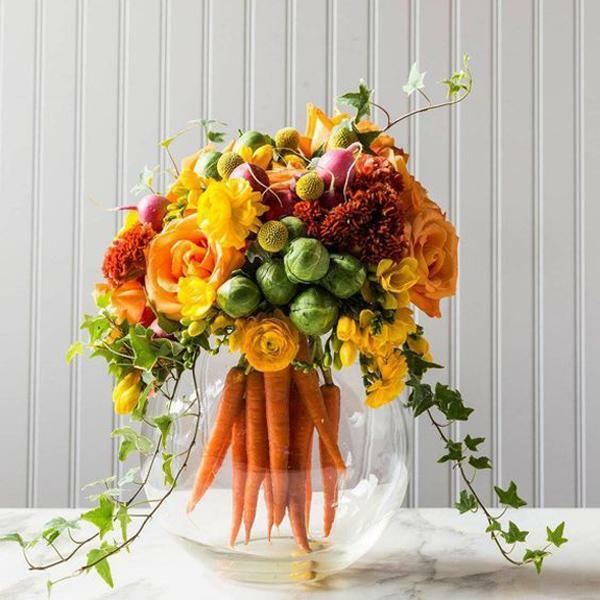 Flower arrangements with carrots are beautiful ideas to create bouquets as gifts and beautiful table centerpieces for holidays. 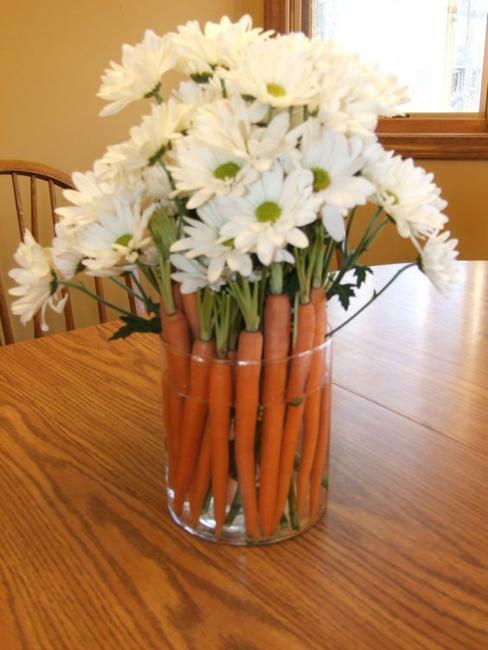 Instead of carrots, cucumbers, radishes, asparagus spears, bell peppers, tomatoes make attractive designs also. 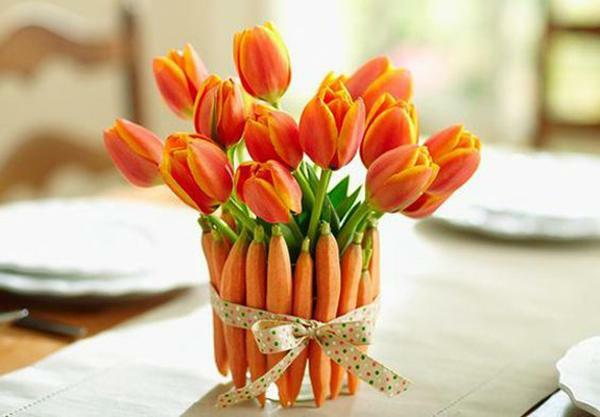 Fill up a glass vase with carrot sticks, create your flower arrangement, then add colorful ribbons. 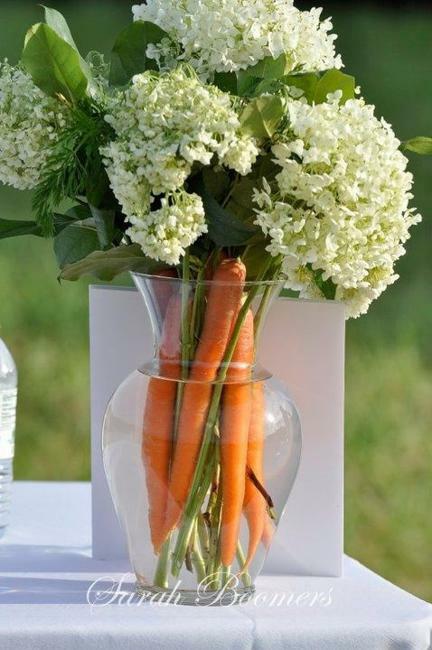 Whatever embellishments and glass vase you like, any combination works for carrots and beautiful flowers. Any of these gorgeous and bright bouquets look fantastic. 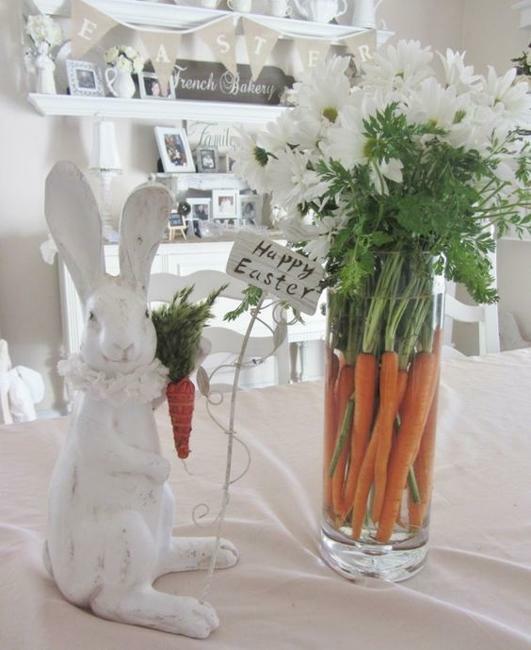 Fresh flower arrangements with carrots make beautiful eco gifts and playful Easter decorations. 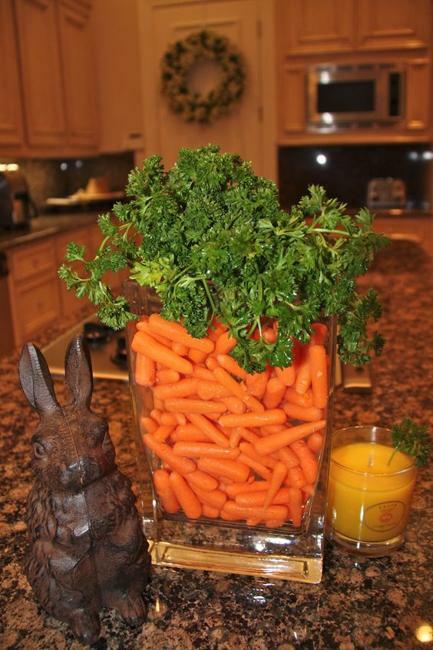 Carrots add a festive look to table decorations. 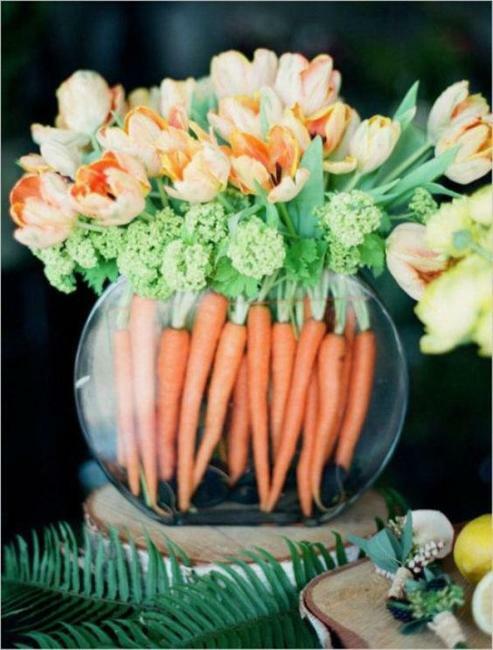 Carrot and flower centerpiece ideas are the fresh, original, and attractive alternative to traditional floral bouquets.